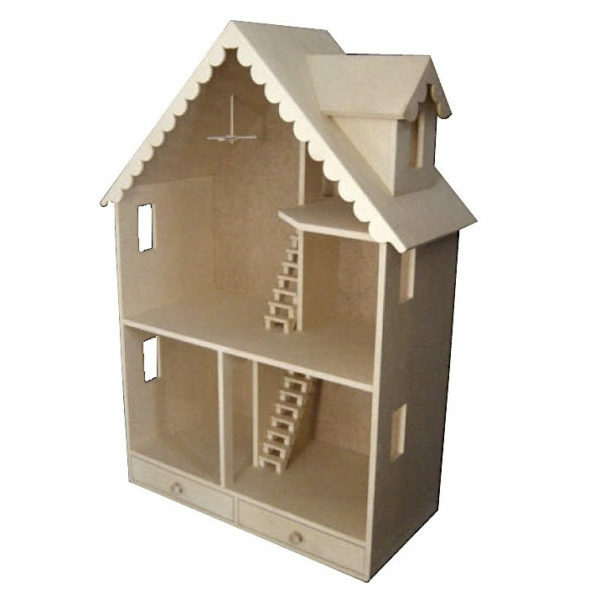 With room to spread out, The Alpine© is the perfect cozy home nestled in a mountain valley. 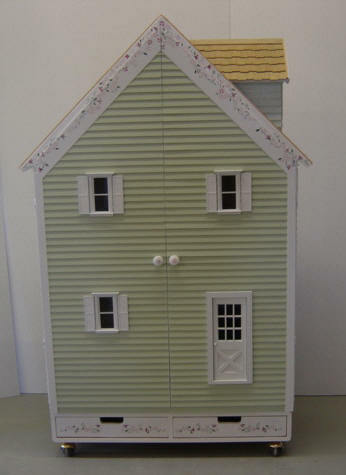 With 2-1/2 stories and five rooms, including a charming Dormer Window room, this mountain home is cozy both summer and winter. 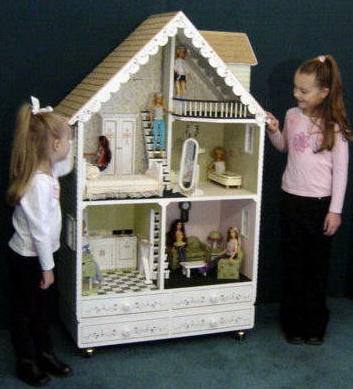 Built-in drawers designed so your child can store her Barbiedolls and accessories in an organized way. 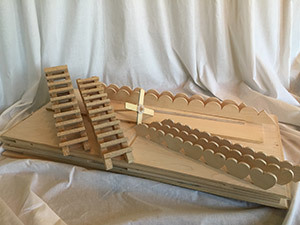 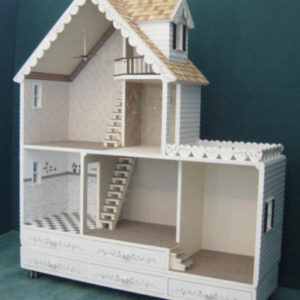 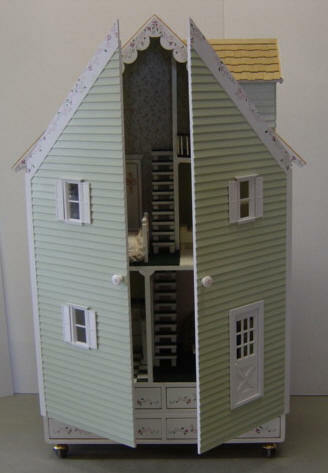 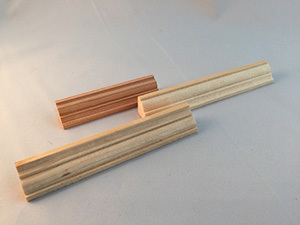 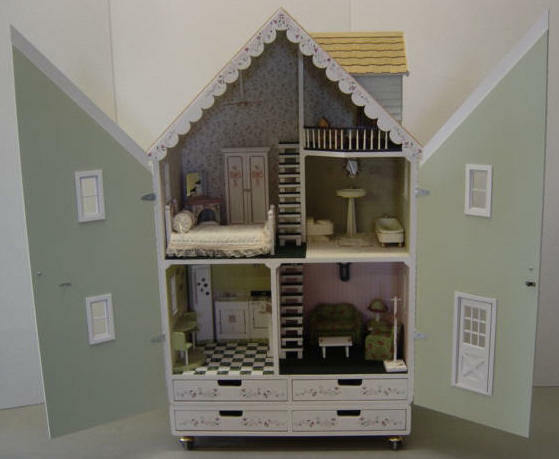 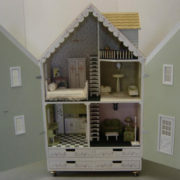 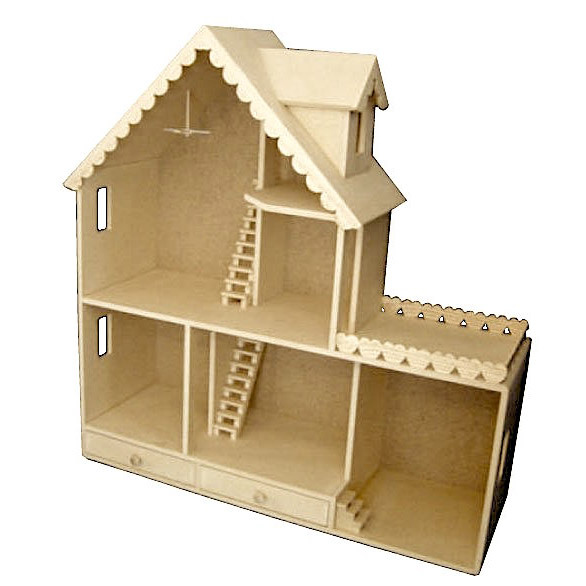 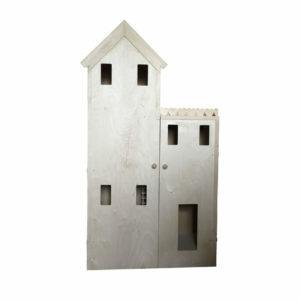 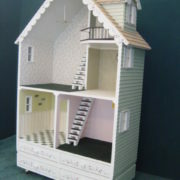 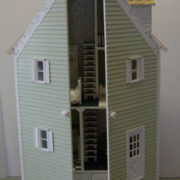 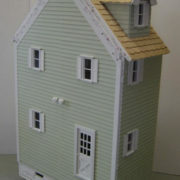 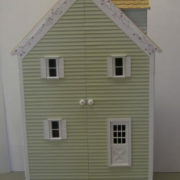 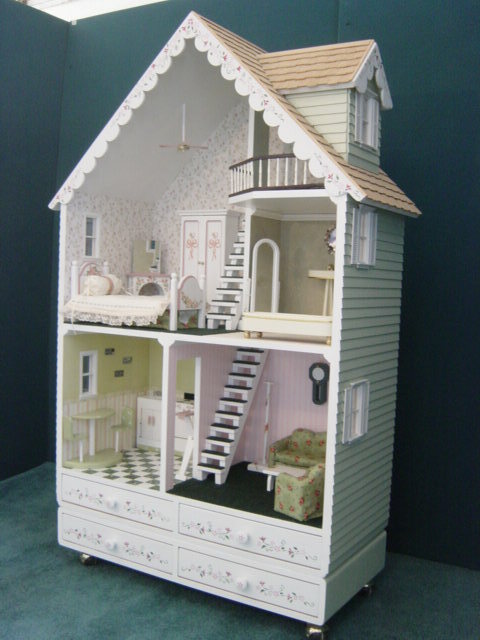 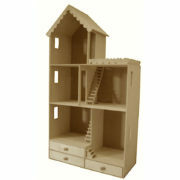 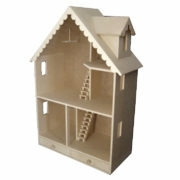 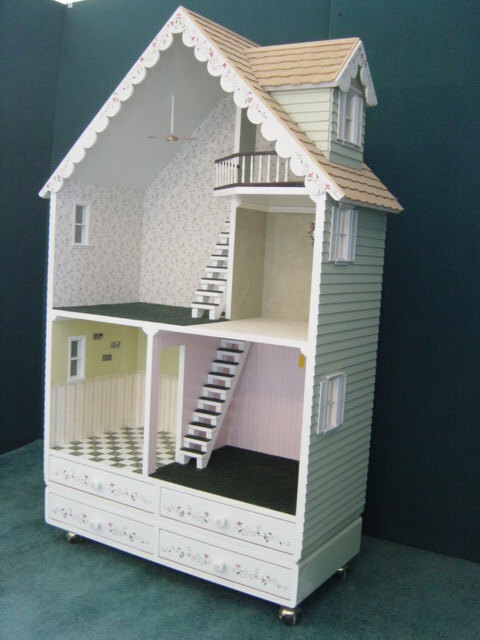 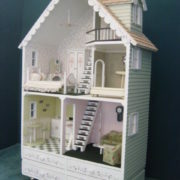 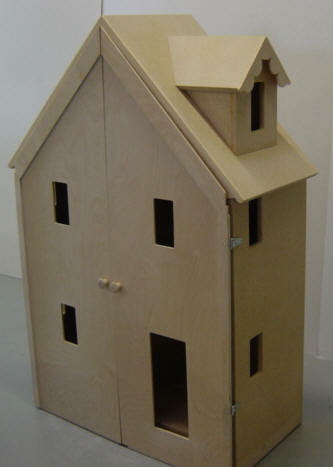 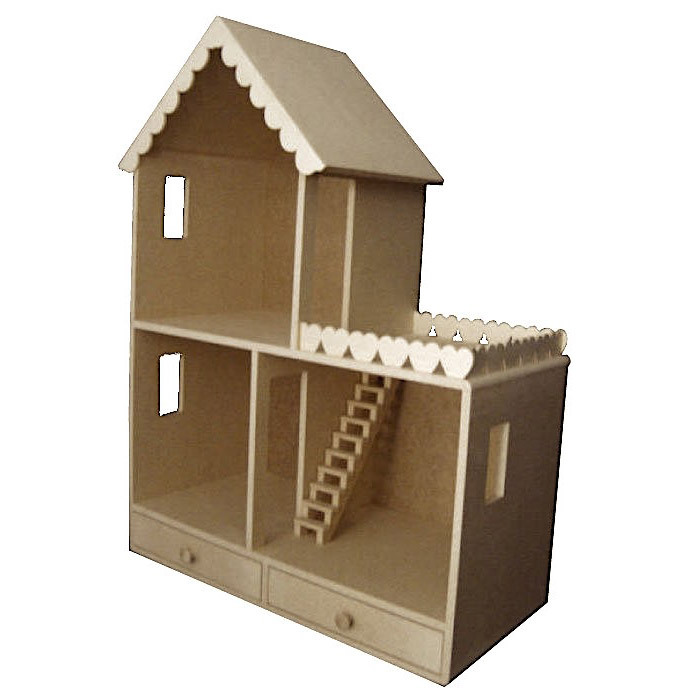 We also have numerous accessories and furniture to enhance the look and feel of your wood Barbie dollhouse kit. 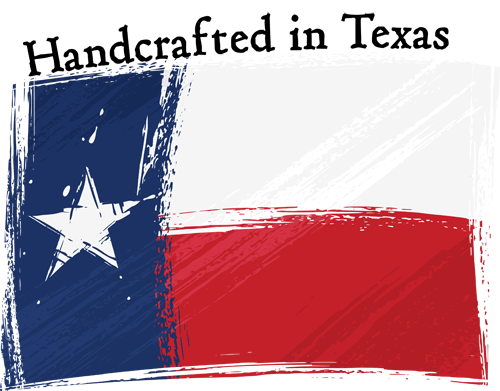 For those located in the Austin/San Antonio area of Texas, we can also assemble and deliver your kit for a nominal fee. 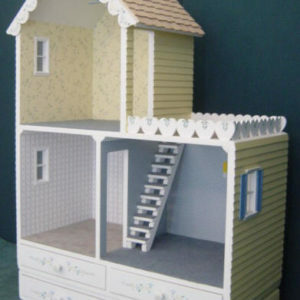 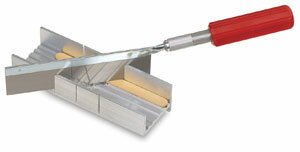 Occasionally, we can decorate and finish your house provided we receive enough lead-time. 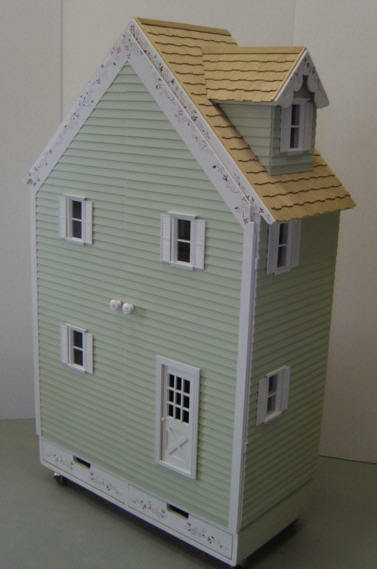 Just call us to discuss.